This show was broadcast on March 26, 2014. I wrote to Cass Sunstein a few days ago inviting him to cognitively infiltrate my radio show. Unfortunately Cass is too busy being grilled by 9/11 truth-seekers at book signings. So we’ll just have to make do with an equally dubious anti-9/11-truth author, Jonathan Kay. 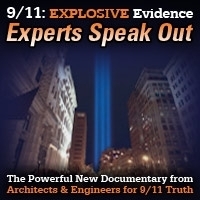 Kay’s book is a rambling ad-hominem attack against the 9/11 truth movement in general, and selected 9/11 truth luminaries in particular. I have the pleasure of reporting that I am tied with Ken Jenkins, only slightly behind Mike Ruppert, and just barely ahead of David Ray Griffin and Richard Gage AIA, as the most-discussed 9/11 truth leader in Kay’s book. *** I think I am safe in calling myself the most intensively vilified (indeed the most egregiously libeled) of the book’s cast of characters. * * * According to the index, Kay devotes fourteen pages to Ruppert, twelve pages to me, twelve to Ken Jenkins, eleven to Richard Gage, ten to David Ray Griffin. 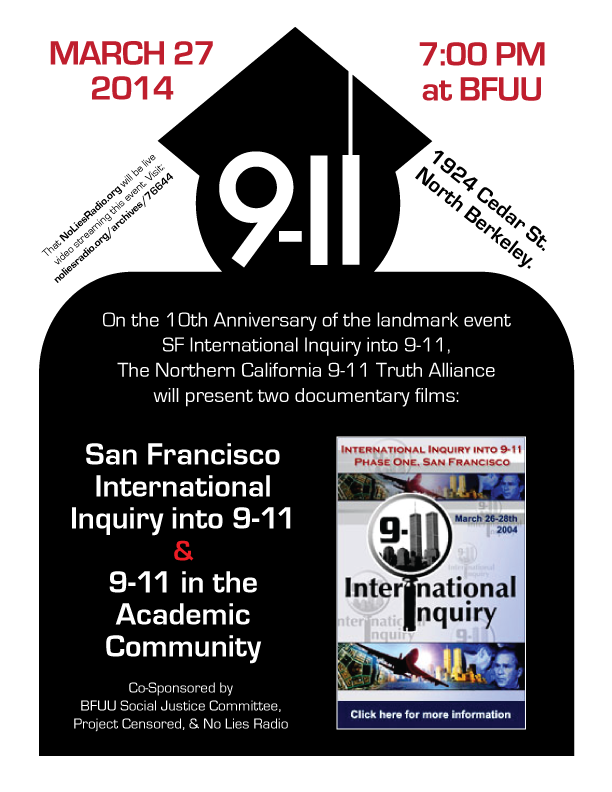 Northern California 9/11 Truth Alliance, BFUU Social Justice Committee, Project Censored, AE911Truth and No Lies Radio. 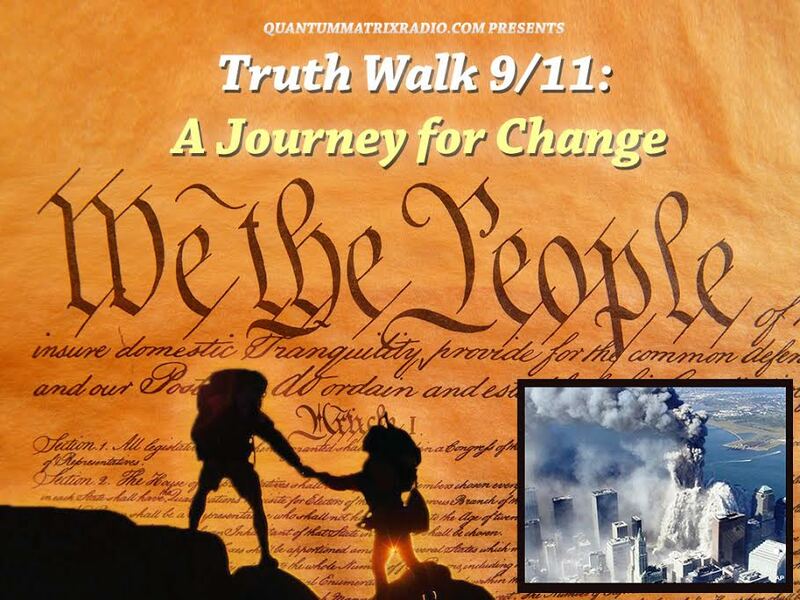 This entry was posted on Tuesday, March 25th, 2014 at 5:01 pm	and is filed under 9/11, Anti-War, Censorship-Propaganda, False Flag/Fake Terror, Freedom, Justice, Kevin Barrett, News, Protest, War Crimes. You can follow any responses to this entry through the RSS 2.0 feed.